Snow Sports Lovers - Gear Up for a Wild Winter in the St. Croix Valley! We don't stop. We just dress warmer. Snow sports lovers rejoice. Your season is here. Historically, over 50 inches of snow makes its way to Taylors Falls, MN and St. Croix Falls, WI during winter. To some, that means packing it in and dreaming of spring, but not here. Here, we unpack. We bust out skis and snowboards and get ‘em waxed and ready. We inflate snow tubes and fat bike tires. We rev up snowmobiles and gas their tanks. We dust off winter jackets, snowpants, long underwear, hats, gloves, mittens, wool socks, boots... Here, we gear up. Winter is upon us and we have no intention of hibernating. If snow and ice are your passion and cold air feeds your fire, gear up and join us this winter. In the St. Croix Valley, adventure awaits around every corner. The trails and parks of the St. Croix Valley are some of the best in the nation for snow sport enthusiasts of all methods of enjoyment and levels of experience. Some of the world’s most unique geology is found here, creating some interesting terrain and phenomenal views. Just make sure to slow down every once in a while and take it all in! 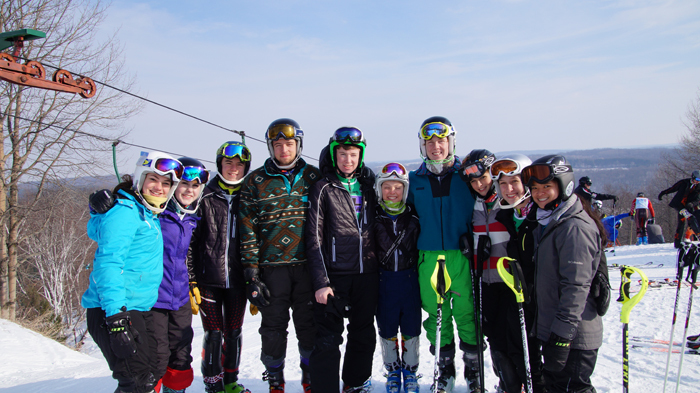 Skiers are ready for the season at Wild Mountain! Take it to the limit with the perfect blend of speed and control on a run that seems exactly manicured to your ability and excitement expectations. Trollhaugen and Wild Mountain combine to offer 50 runs and eight freestyle terrain parks catered to all skill levels. Cross Country Skiing is great exercise! Photo courtesy of Starr Towle. World class Nordic ski trails span over 160 kilometers in the St. Croix Valley area, expertly groomed for classic or skate-style skiing. Hotspots trailhead along the St. Croix River from William O’Brien State Park in Marine on the St. Croix, MN to Wild River State Park in Center City, MN, with lots more to discover in between. Experience a variety of terrain and elevations and enjoy night skiing on lighted loops. at Trollhaugen, Dresser, WI; and Wild Mountain, Taylors Falls, MN. Snow Tubing is a great way to spend a family day! Photo courtesy of Wild Mountain. Excitement for the whole family! 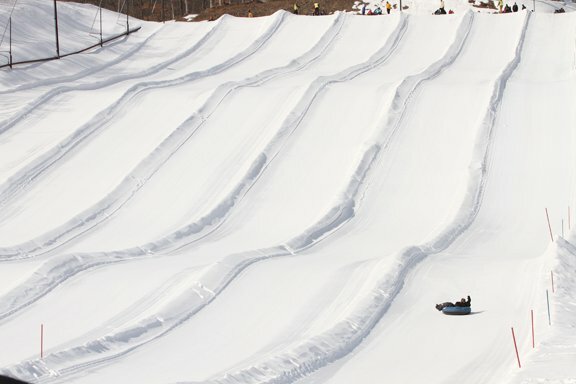 These chute-style runs are groomed specifically for tubing. Each hill has either a conveyor belt or tow rope to get you back up to the top and ready for your next run. 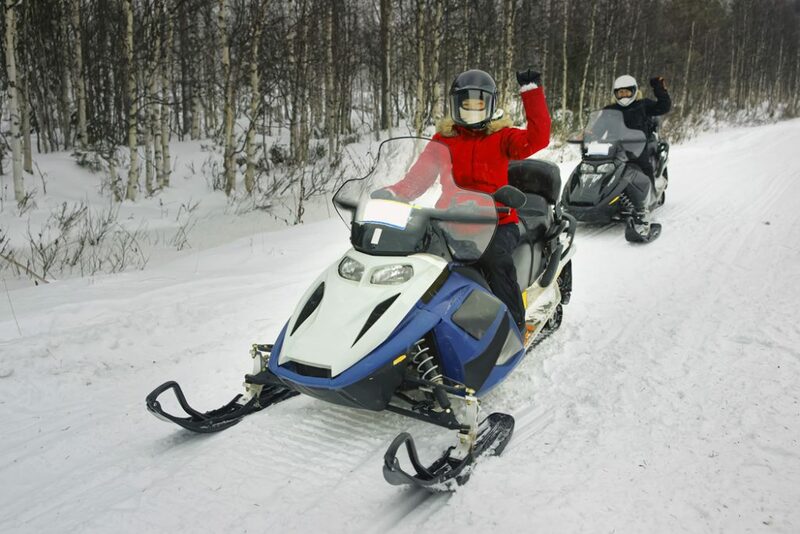 Snowmobiles are a great way to add some adventure to winter! Soar through some of the St. Croix Valley’s exquisite geology on one of our world class snowmobile trails. The Gandy Dancer Trail’s former rail bed surface provides smooth sailing for 48 miles throughout Polk County. Or map your ride from over 550 miles of prime trails that crisscross throughout the area. Whether you’ve been biking fat for years or just getting involved in this growing sport, the St. Croix Valley has just the trail for you. 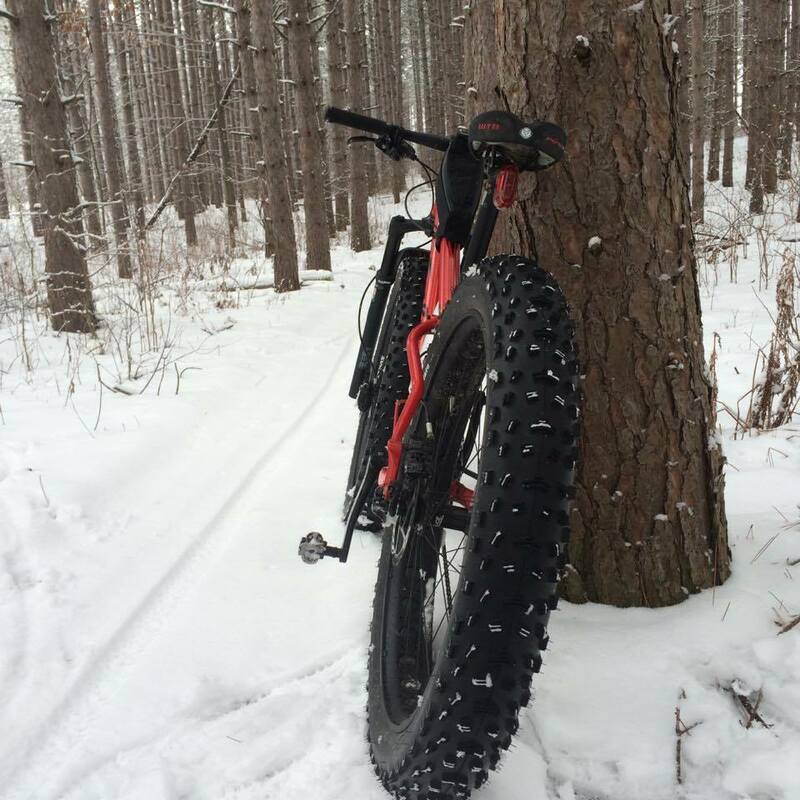 Many of the Woolly Bike Trails that traverse St. Croix Falls, WI are groomed specifically for fat bike use in the winter. Hop on a fatty and extend biking season to a year-round affair. If your need for speed thrives on competition, check out some of our favorite race events of the season. Get ready for an adventure as you slosh your way through miles of snow and ice, racing toward the finish line. 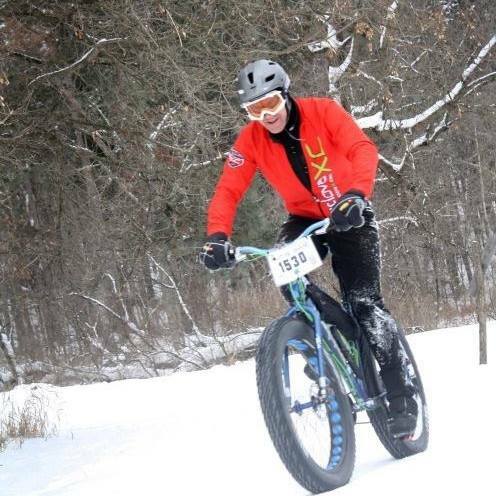 The Solstice Chase fat bike race in St. Croix Falls typically has two distance options; the Half Solstice - 10 Miles, or the Full Solstice - 20 Miles. This race is part of the Great Lakes Fat Bike Series which features racing events throughout Wisconsin, Minnesota and Michigan. All ages and abilities are welcome. Proceeds of the Solstice Chase go toward further developing the trails of the St. Croix Falls area. Past races have been held on the groomed singletrack of the Woolly Trail System as well as at the rolling acreage of Big Rock Creek Retreat. Learn to race like the pros! 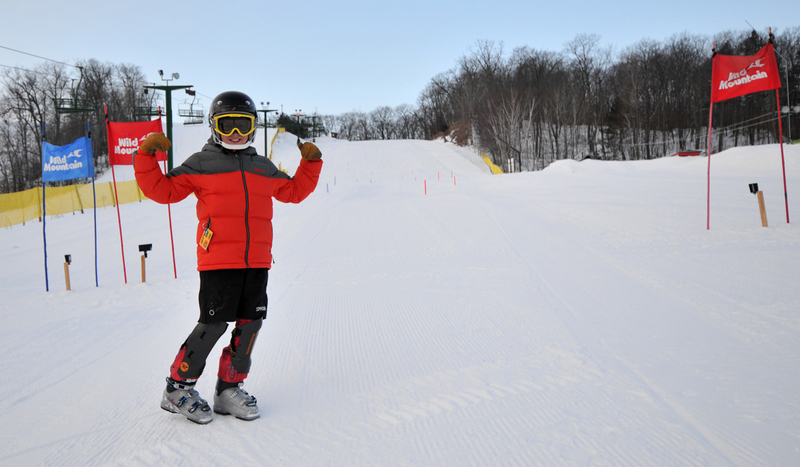 The St. Croix Valley’s two premiere downhill ski destinations each offer Alpine D-Team training for kids ages 6-18. Both sites boast a low coach-to-skier ratio, which provides development and guidance on an individual skill level. Training kicks off in early December with races throughout the winter at various venues. Gorgeous views of the St. Croix Valley can be had on top of Wild Mountain! 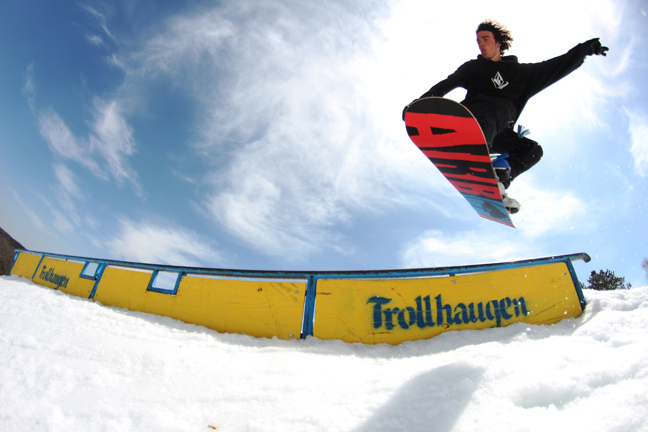 Get your tricks on with the Freestyle Snowboard/Twin Tip D-Team at Trollhaugen. 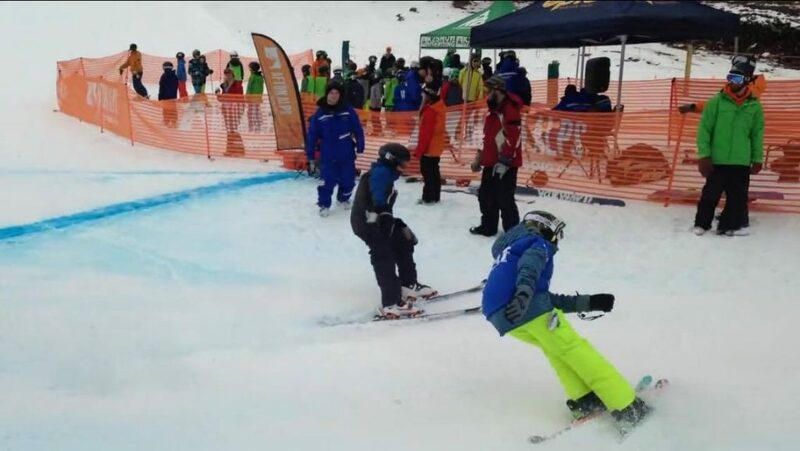 The program features both training and competition in Big Air, Slopestyle, and Boarder/Skier Cross (Giant Slalom) for ages 7-17. Training kicks off in early December with competitions throughout the winter at various venues. 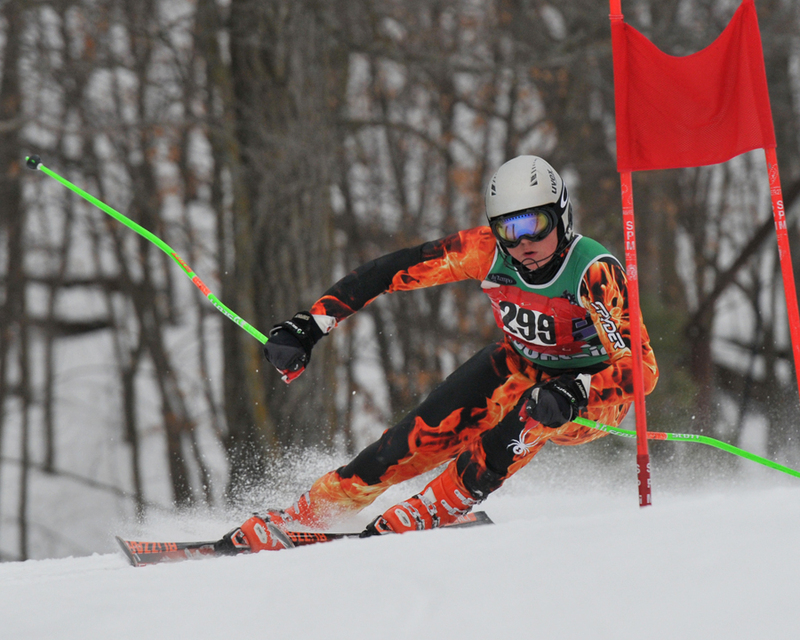 D-Team racer Daniel S. loves the thrill of a ski race adventure! Photo courtesy of Lacey Scottum. Get revved up for some high-octane, adrenaline-pumping fun! 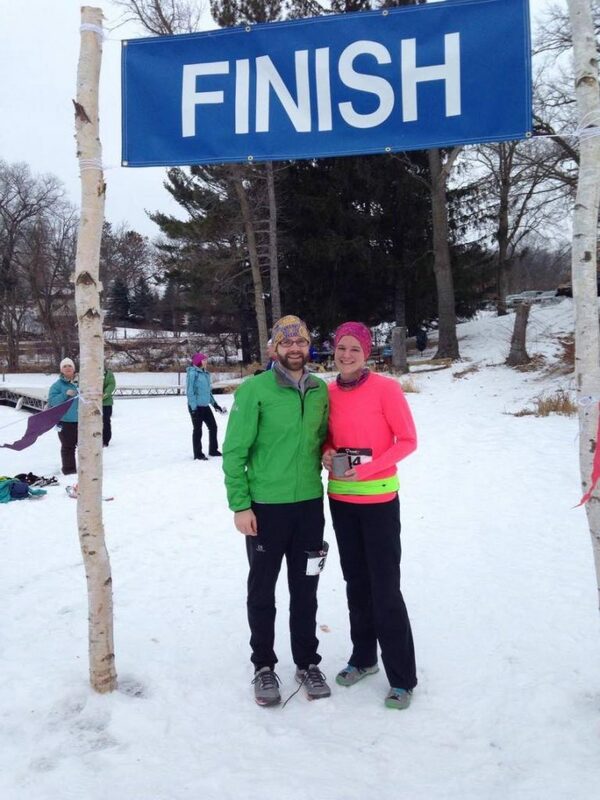 Historically these races are held during the Celebration of the Lakes, an event which honors the hearty culture of the snow-dwelling Swedes who settled the Chisago Lakes area. And what better way to celebrate their sense of adventure than with a snow-spewing, slip-and-bump timed sled run across the ice? Snowmobile race event is held on North Center Lake and also features Kitty Kat races. There’s a reason this event has been around for more than 47 years. Try it and find out why. 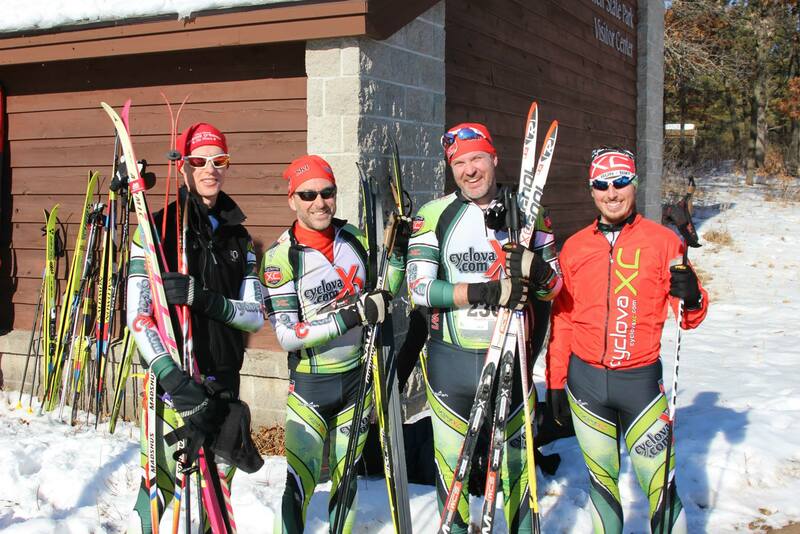 The Marine/O’Brien Cross Country Ski Race is held at William O’Brien State Park and kicks off with a wooden ski tour. The race is open to all ages and abilities and spectators are welcome. The greatest ice race on earth – 500 miles of LeMans style racing over 2 days. Pro & Factory Race Teams from all over the USA will compete for a $10,000 purse in a grueling, high speed 10 mile lap circuit while battling freezing cold weather, blowing snow, rapidly changing conditions and limited maintenance/prep time for day 2! 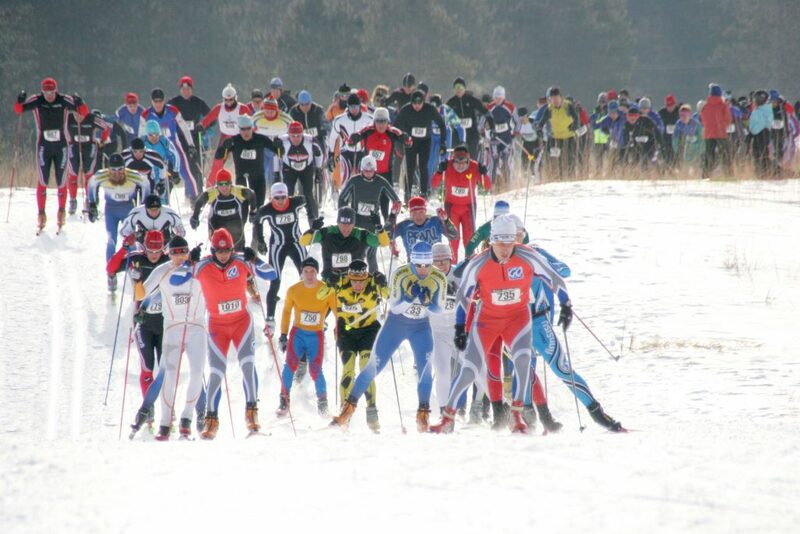 Snowshoe Races are a great way to embrace winter! Photo courtesy of Lacey Scottum. A true test of grit and determination, the Balsam Lake Snowshoe Race covers 5K of beautiful wooded trails, starting from Pine Park. The top three men’s and women’s finishers receive awards and door prizes are open to all at the culmination of the race. Competitors may also run/walk the trail, but awards are reserved for those who snowshoe. Be sure to check our event page for the most upcoming dates for these popular events.